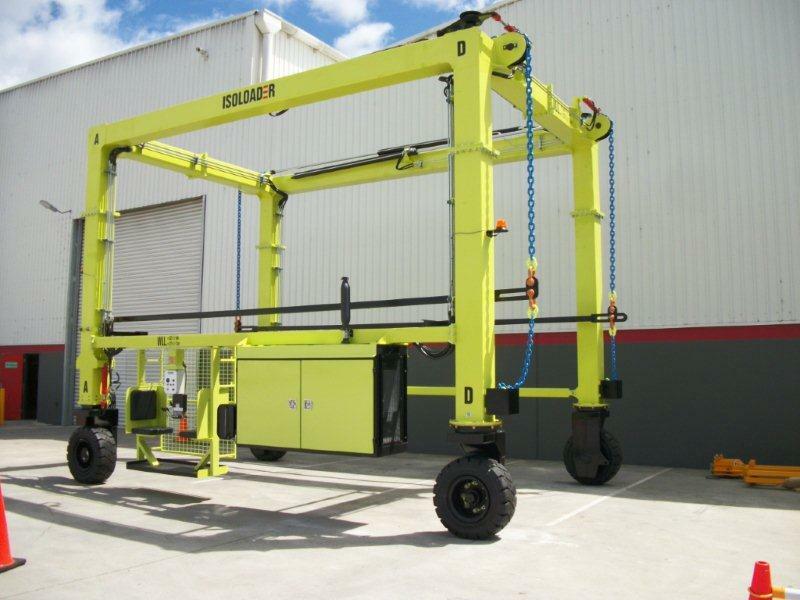 ISOLOADER has developed a range of Straddle Carriers for various intermodal operations. These machines have in common a light structural design compared to reach stackers, forklifts, and most straddle carriers. As a result, the machines are economical, have a low wheel pressure, consume little fuel and are very manoeuvrable. • The EconoLifter is an economical solution suited for warehouses and transport terminals handling lower volumes of containers. 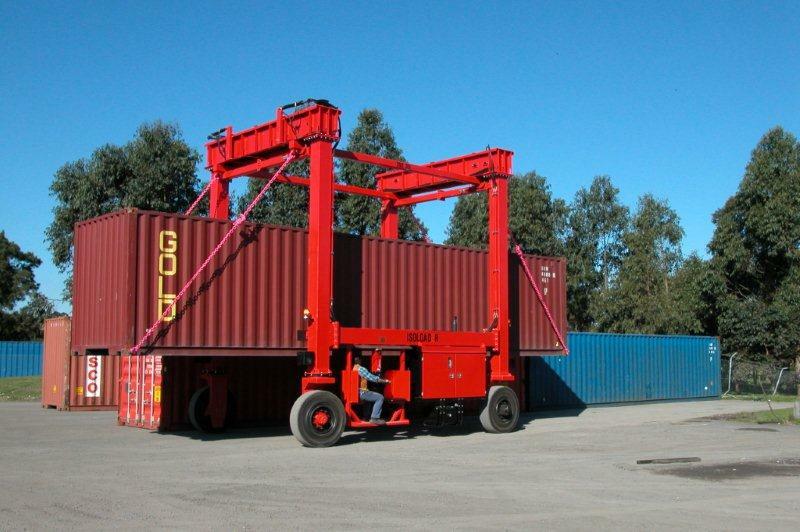 The machine could chain-lift up to 4-6 containers per hour (depending on the operation) in smaller scale sites such as transport yards, warehouses, and production plants. • Open cab fitted below the side beam.